Euro 2012: down 5%, could be! 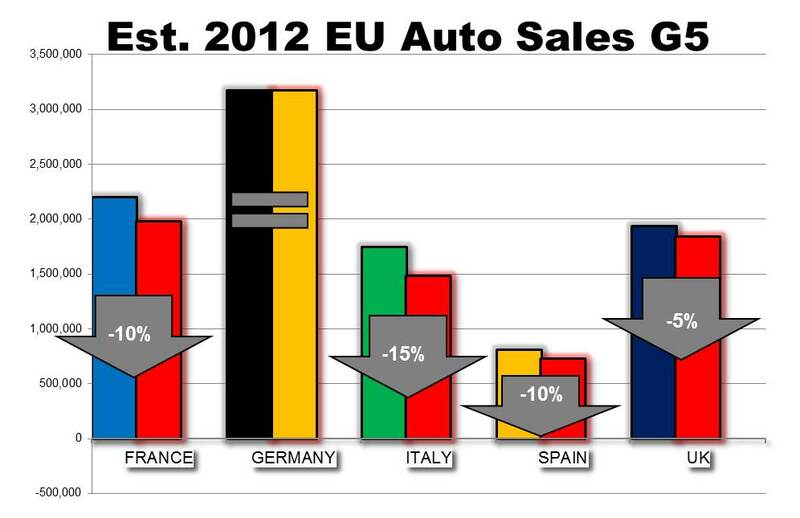 Since no one really knows, I thought I’d put out my forecast for EU 2012 light vehicle sales. As we comp against French incentives and other markets facing ongoing austerity, I foresee the potential for a EU down 5%. Not a fait accomplis, but at this moment, I prefer prudence. What’s this mean: It’s about exports, where the Germans and Renualt have the edge. Impact from falling euro should be supportive. Also, see my recent note on downsizing which continues in Europe as well. New technology on gas engines and diesel pulling back. VAG still needs a way to sell more small cars. With so much happening in Brazil, I thought I try to sum it all up. The main theme isincreased localization for two reasons. Capture some of the meteoric rise in the market and avoid recent tariff increases. Renault increasing plant capacity by 130K.